Construction Skill Certification Scheme or CSCS was established in early 1990s in order to prevent the ever increasing mishaps and accidents on the construction site. CSCS takes a test of people engaged in construction related work and give certificate based on their education, qualification, skills, experience and expertise. Construction Skills Certification Scheme also furnishes a smart CSCS Card which is in vogue right now as holding a CSCS Card ensures you a better job prospect in construction field. It covers more than 350 different construction related occupations and currently there than 1.7 million people registered with CSCS and holding different CSCS Cards. For applying to Construction Skill certification Scheme for CSCS Card, first you need to check your eligibility and choose the most suitable card. 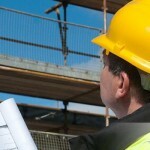 After applying for CSCS Certificate, you need to pass a basic Health, safety and Environment Test. The level of test varies with the type of card applied for. Red Card: Red card is for those people who have started their carrier in the field of construction and have comparatively less experience. Red Card is the most basic CSCS Card and is of four types. Red Cards are generally valid for three years and can be renewed for another three years upon application. Green Card: People engaged in basic construction works can apply for CSCS Green Card. Persons applying for Green Card need to know the handling of power tools, personal tools and personal protective equipments (PPE) among others. Green Card is valid for five years. Blue Card: One can qualify for CSCS Blue Card for skilled worker after achieving NVQ or SVQ level 2 or after completing an apprenticeship sponsored by employer. For the second type of Blue Card one need not have complete NVQ or SVQ. Blue Card comes with a validity of five years. Gold Card is for two groups of construction working people. One is skilled workers and other is supervisors. For both the Gold Card, the applicant needs to have a level 3 of NVQ or SVQ. But supervisory and technical occupation Gold Car, you need to have NVQ or SVQ in related field. Available for people engaged in managerial occupation at the construction site, Black Card requires a level 4 or 5 of NVQ or SVQ. In case a person doesn’t have NVQ or SVQ, a level 6or 7 of QCF is also applicable in applying for Black Card. White Cards are also of two type. White-Grey Card is for people in construction related occupation, while White-Yellow Card is for Professionally Qualified persons. For being able to be rewarded CSCS Certificate and to get these varied types of CSCS Card, one needs to pass the Health, Safety and Environment Test. While the test costs £17.50, the Cards cost is £30.